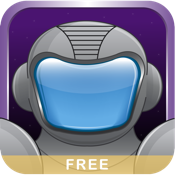 Spaceman Asteroid Space Flow Puzzle is now available for iPhone, Ipad and iPod Touch. Use your finger, connect all the same alien and astronaut heads and save the Universe! Crush and connect through a bunch amount of stages and difficulty levels in this cosmic game. Fresh and brain teasing puzzle game for the whole family. FREE VERSION - completely free to play! Take on this galactic saga alone or play together with your friends to see who can get the highest score!